A tedious tribute to the agony of being 16 and subject to sexual frustration, backstabbing friends, disinterested teachers, and mother-daughter screaming matches. The character who guides readers through this dreary landscape is notable most of all for her loneliness. Ignored by a hip Hollywood dad and nagged at by her dippy, domineering, New Age mom, precocious Skye becomes increasingly alienated from bland suburbia, southern California style, as she embarks on a quest to find a lesbian soulmate. 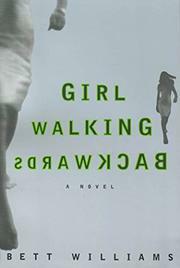 An all-consuming crush on Jessica, whose brief backwards stroll gives the book its curious title, quickly escalates after one public kiss at a sweaty high school party. (Naturally, the popular girls are disgusted, the jocks intrigued.) Skye and Jessica’s relationship veers sharply from the breathless best friends— stage into crisis, though, when Jessica’s self-inflicted cuts become deeper and more frequent. When she ends up in the hospital, followed there in a blink by Skye’s pill-popping mother, Skye joins the ranks of semihomeless teenagers whose nomadic, unattached lives she admires. Two friends invite her to a cybercafe and the occasional rave, but otherwise Skye is completely on her own. Her isolation is more than a little distressing, and Williams beats her readers over the head with it: The only person Skye ever connects with is Jessica, who is eventually secreted away to a long-term psychiatric hospital without, it seems, a backward glance. Anyone’s lingering nostalgia for high school years will disappear after a few pages of Skye’s circuitous, self-conscious conversations with her friends in this novel of adolescent insecurity and confusion, a debut effort that nevertheless remains strangely unsatisfying—in part because the strings on these puppets are so obviously traceable to an adult hand.